Posted on May 19, 2015 by Appleton Downtown Inc. 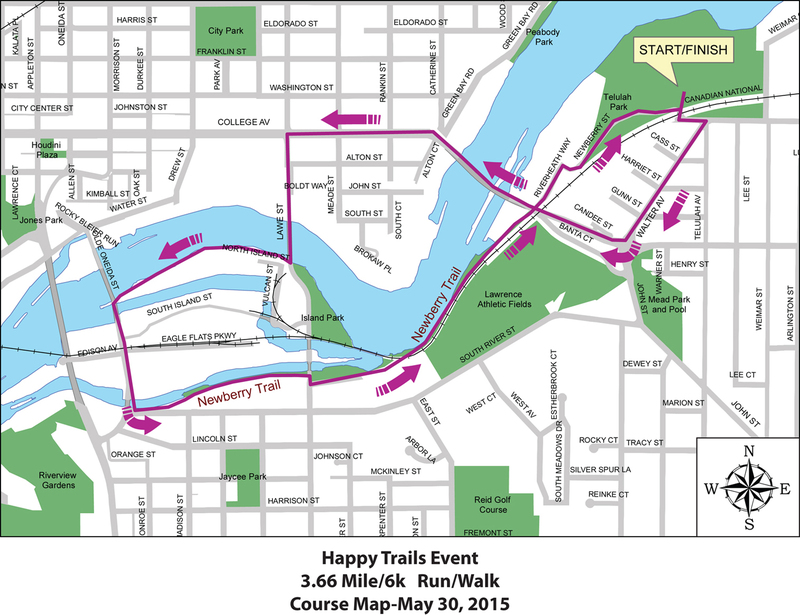 The Fifth Annual Happy Trails event, presented by Scheels, will be held at Telulah Park on Saturday, May 30 from 8 a.m. to 1 p.m. New this year is a 11-mile bike ride that will start at 8 a.m. in Telulah Park and go along the Fox River in Appleton, Kimberly and Little Chute. Beginning at 10 a.m., participants can also take part in a 6K (3.66 miles) run/walk along the riverfront trails in Appleton. 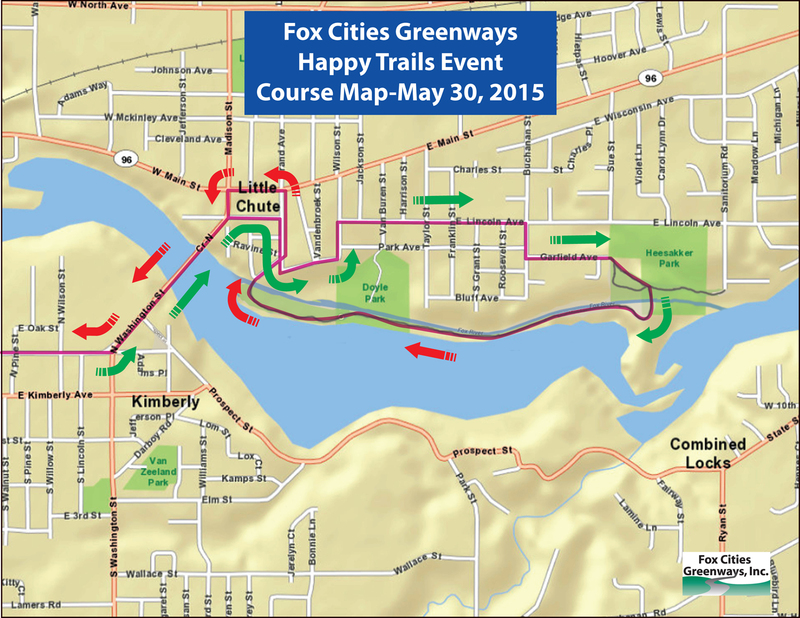 The Fox Cities Greenways event is a family-fun event for people of all ages and abilities. The Happy Trails event will again feature a kids' bike rodeo for ages 5-12, kids' bike helmet giveaway, and rowing demonstrations by the Fox Valley Rowing Club. Other features include free refreshments and t-shirts for participants, a face painting station, handcrafted soda by Stone Cellar Brewpub, and trail map displays. The Appleton Rock Band will be providing live music at Telulah Park throughout the day. 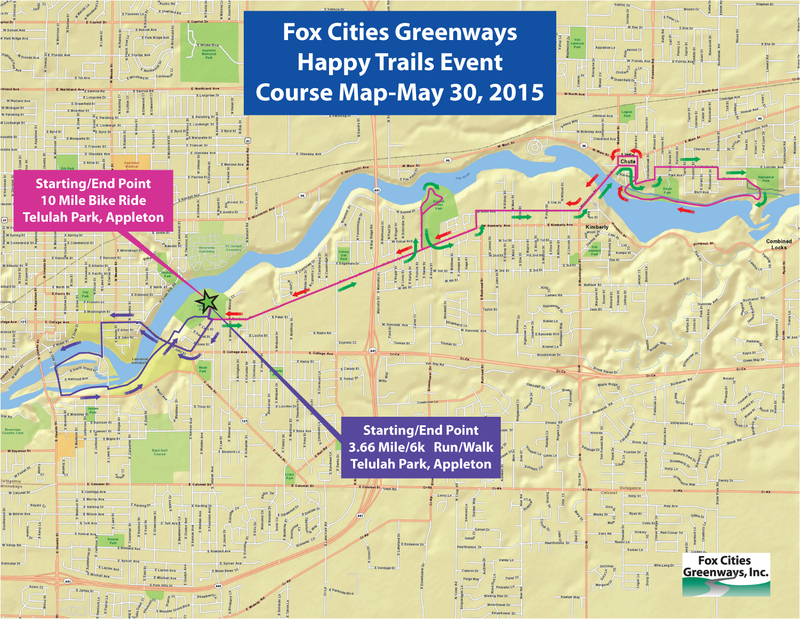 Proceeds from the event support the Fox Cities Greenways, a nonprofit organization that fosters the development and preservation of trails and greenways in the greater Fox Cities region.